In order to combat the desert climate the farm has custom designed a closed loop cooling system and introduced new flatbed growing trays that have reduced the number of plants but vastly increased the yield. 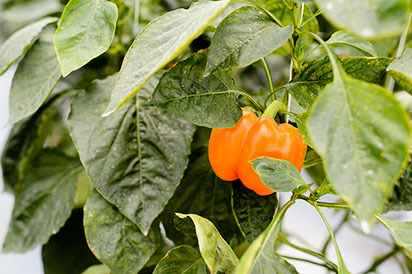 Through these changes, and coupled with an intense focus on hygiene inside the greenhouses, the farm is now achieving 98% crop yields throughout the year. The technologies create a closed and controlled ecosystem to best match the needs of every plant. Our Clean-In-Place (CIP) systems are automated systems used to clean the interior surfaces of our process pipes, without disassembling the system. Our production room is regularly tested and certified by the Ministry of health, the room is operated by our qualified technicians to ensure the integrity of the production room. We have opted towards the use of hydroponic systems. Hydroponic plants can be grown in the kingdom of Bahrain without the restrictions of quality of soil or extreme temperatures, We do not require tilling of soil, fumigation, weeding etc., which in turn drastically reduces the manpower required. The advantage is a significant reduction in the pollution of land and streams with high levels of runoff nutrients. The chance of disease is largely reduced with hydroponics as it is a soil less culture system. 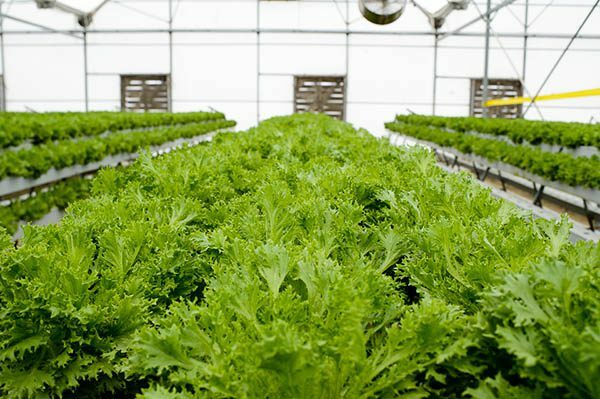 In our hydroponic system nutrients & water are continuously delivered directly to the plant roots which greatly increase the rate of growth and allow higher yield per acre. The newest innovation in salad mix production, Salanova® offers versatility, efficiency, and high value. Harvested as fully mature heads, the flavor and texture have more time to develop than traditional baby-leaf lettuces. From the unique structure of the core a multitude of uniformly sized leaves develops that is harvestable with one simple cut. 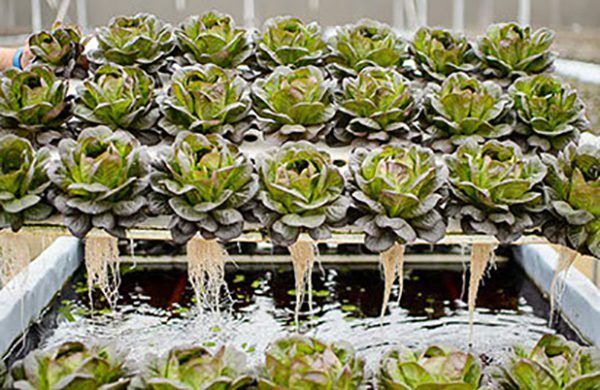 The advantage Like all of our lettuces, the Salanova® varieties are grown in our hydroponic greenhouses, so they are delivered fresh with their roots attached and are grown in water with no dirt..
We think you’re going to love the convenience of our new multi-leaf head lettuce, and we think you’re really going to enjoy the tiny, bite-sized, flavorful lettuce leaves!! All our goats are pure breeds with bloodlines that can be followed back up to 6 generations. 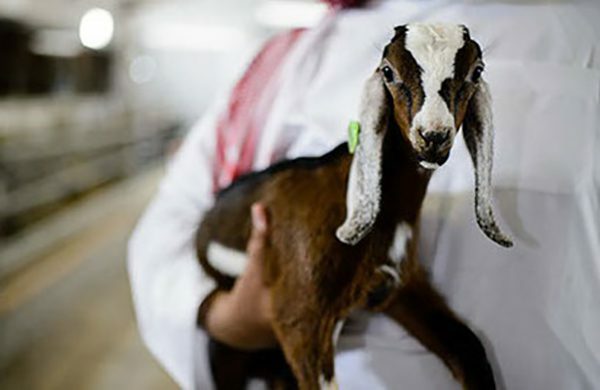 We follow a strict diet tailored towards the production of milk, with ingredients and feed coming from local vendors as well as several vendors from the UAE and Italy in order to create a balanced diet for our goats. Our goats live in a conditioned and spacious barn with an attached playground to make sure they are pampered and healthy during their stay at our farm. The milking Process is done with almost full autonomy in a closed milking system, to ensure that the milk is not exposed to any air or any harmful organism until the milk is pasteurized. In no part of our goats’ lives have they been subjected to any form of hormone manipulation. 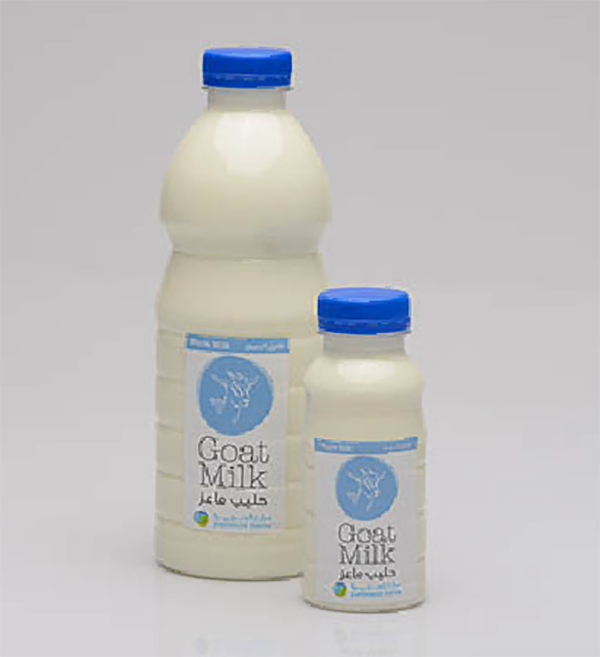 Our milk is arguably the healthiest milk you can drink, what we are offering is pure unadulterated goat milk straight from our farms where our goats are happy and live long lives. Biochemically goat milk has the nearest nutrition value to a mother’s milk. It also only takes 20 minutes to be absorbed in the human body. It requires no work from the digestive system and it’s easy on the elimination organs such as the liver and kidneys, After the Production room our milk is filled in bottles and then directly transported to our chillers. Our goat milk is made by hand in an artesian style which is hand sealed. 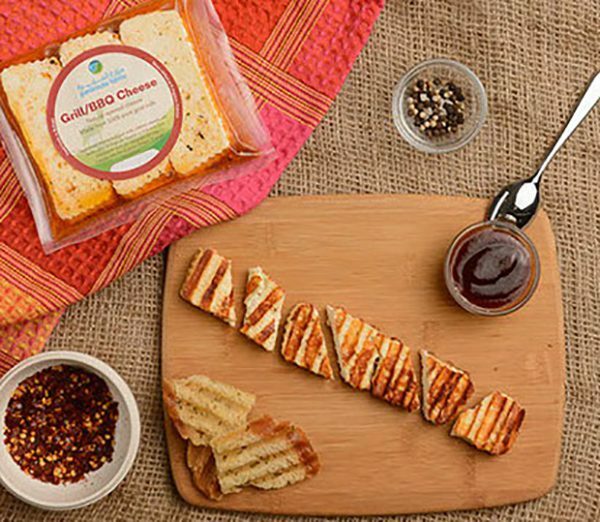 We pride ourselves in creating “Real Cheese” with all natural ingredients and no chemicals added created on a daily basis. We only use high quality ingredients from quality suppliers, whether be it our oak chips, oregano or our marinate made from olive oil. Goat milk soap is known for its gentle and soothing qualities, along with organic oils and aroma-therapeutic essential oils. The benefits come from the goat’s milk its self and the art of making soap by hand. The secret in the goat’s milk soap itself is, capric-caprylic triglyceride, a molecule only found in goat milk that has been found to be very healthy for the skin. This wonderful combination is very comforting to dry, irritated and sensitive skin. 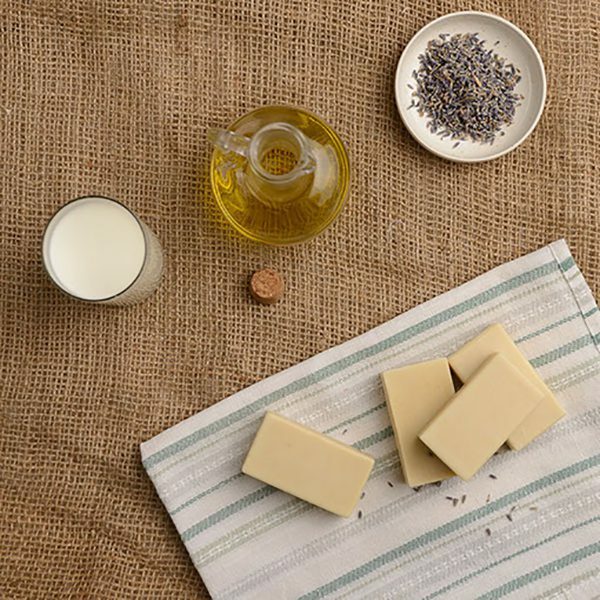 Our buttery soaps are created from the same base of Olive oil, goat milk and Lye, Fragrance or Essential oils and some of our soaps contain natural pigments. Try our soap; your skin will thank you. 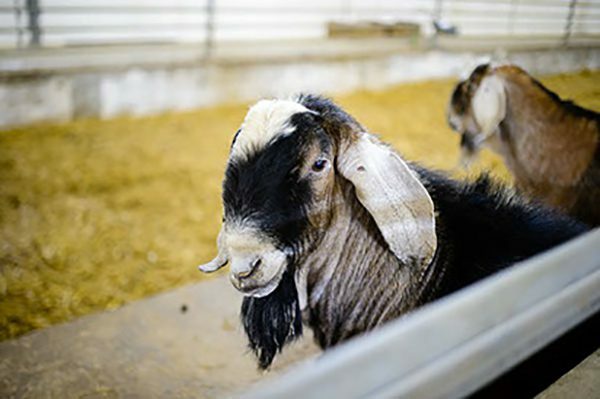 Our goat dairy products all go through the same process where fresh milk is cooled , pasteurized. 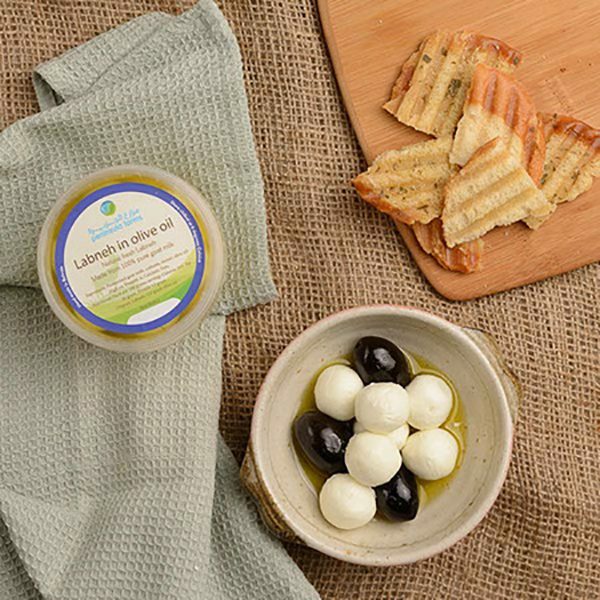 The pasteurized milk is later used to create various products like Cream, Butter, Labneh,Laban, Kefir, Soft Cheese all in an artisan style of creation. We can produce fresh goat butter/ cream/ ice-cream as well as flavored milk based on demand. These can be ordered and sold on home delivery basis. Peninsula farms were set up to grow fresh food for the people of Bahrain. We’re growing local food for local people.